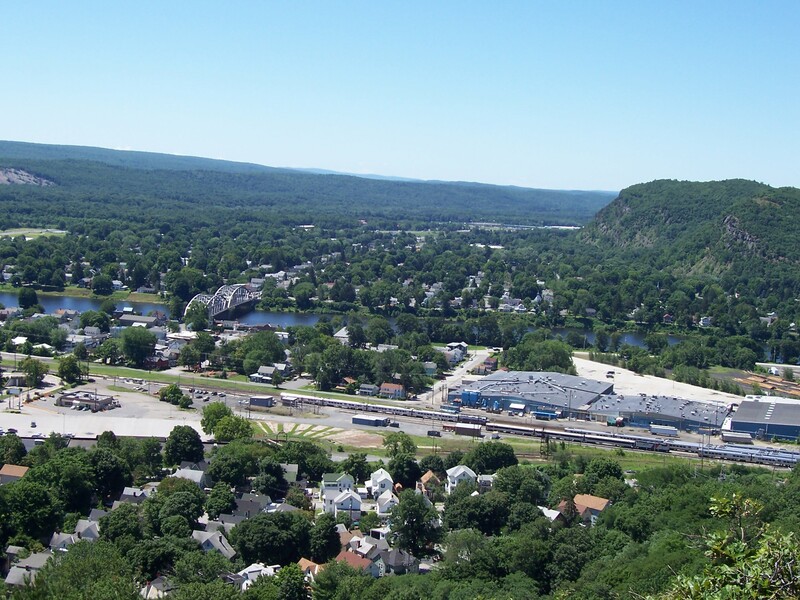 Port Jervis viewed looking eastward from Elks-Brox Park at Point Peter. The mountains are in New Jersey. 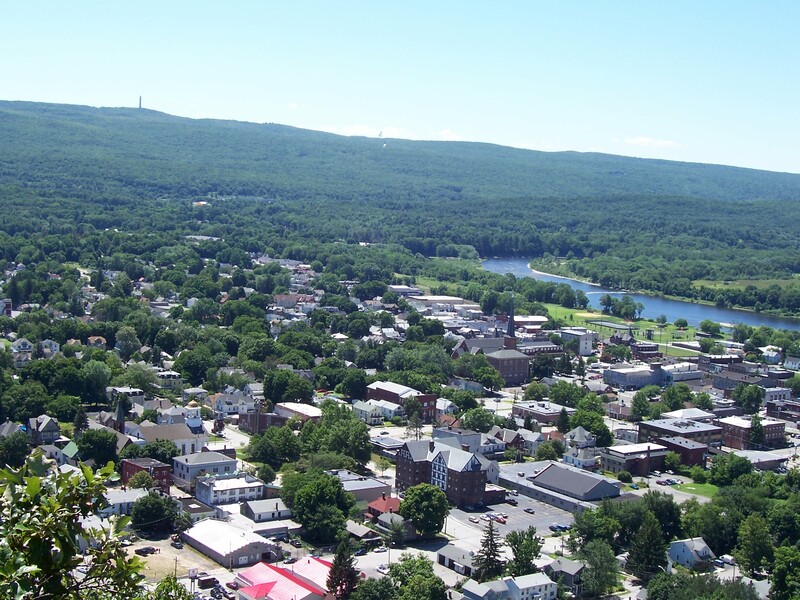 Matamoras, PA, is located to the right, across the Delaware River. The obelisk seen projecting above the horizon at top left is found at the highest point in New Jersey in the aptly named, "High Point State Park." A more southwesterly view from Elks-Brox Park shows the mid-Delaware Bridge connecting Port Jervis with Matamoras, PA, across the Delaware River. Looking eastward down the Delaware River from the bridge that connects Port Jervis, NY, with Matamoras, PA, the High Point State Park Memorial in New Jersey is seen at the photo's center. Welcome to Port Jervis sign on Routes 6/209 (Pike Street) at the southwestern entrance to the city approached from Matamoras, PA. Eastbound traffic on Main Street near the Deerpark Reformed Church pictured below. Front Street in Port Jervis on a quiet weekend morning. In recent years this downtown business section has seen an influx of antique stores and restaurants. Another business district near the busy intersection of Pike and Main Streets. NYS Route 97, which leads to the famous, serpentine Hawk's Nest section of that highway, begins at the left side of the intersection shown here. The Deerpark Reformed Church on East Main Street in Port Jervis, NY. Historical marker describing the Deerpark Reformed Church shown in the previous photo. 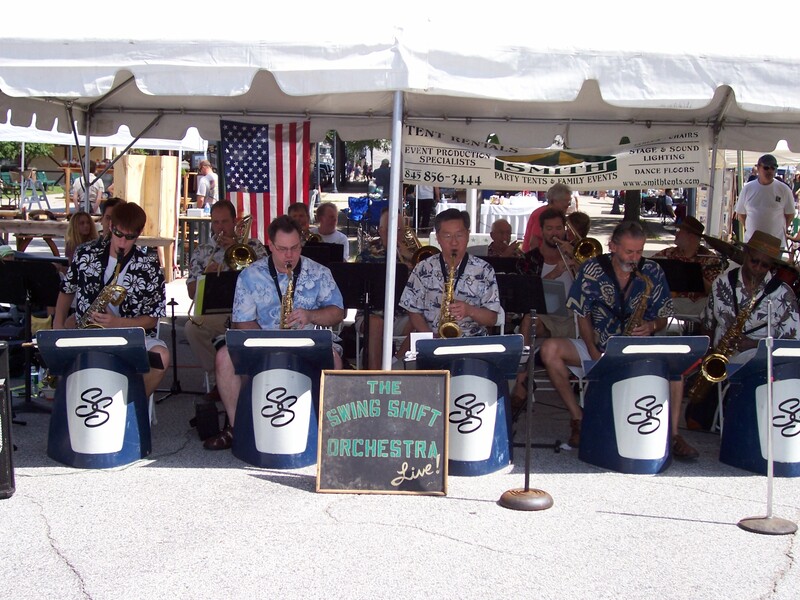 A swing band was among the live entertainment featured at one of the annual street festivals held in Port Jervis. This photo is from a 2005 event. 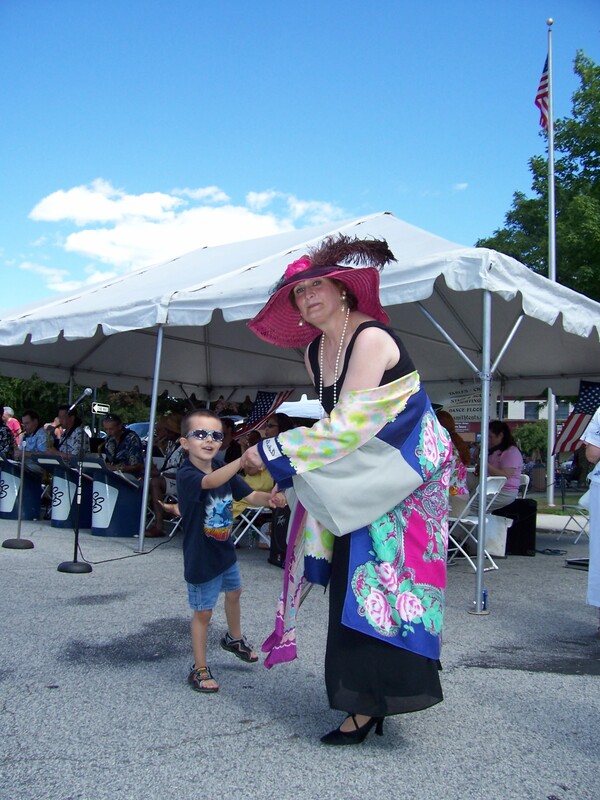 Live music unites the generations in dance as these two guests at an annual street festival in Port Jervis show off their steps. 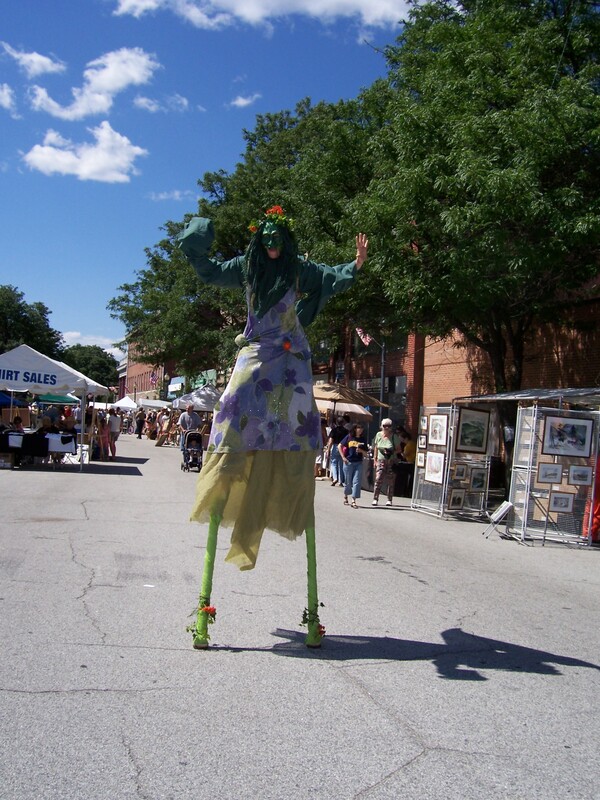 A stilt walker adds to the festivities at an annual street fair in Port Jervis. About 18 miles from Port Jervis, in Forestburgh, Sullivan County, NY, is Stephen Crane's Pond where the famous American author stayed at his brother Edmund's home, pictured below.